2010's biggest success story Ke$ha stopped by the Wendy Williams show to promote her smash hit single "TiK ToK"... check out the performance above! 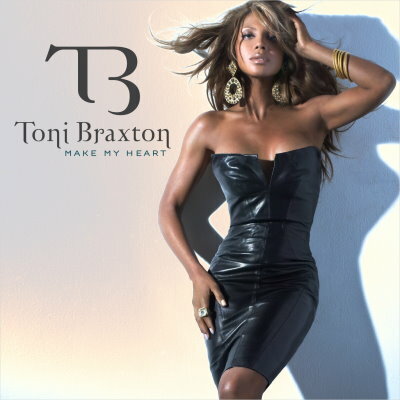 Here's Toni Braxton's official single cover for new track "Make My Heart", which is the second single lifted from her upcoming album titled "Pulse". Here's ANOTHER video from Mariah Carey for the other single "Up Out My Face", which this time features Nicki Minaj. Here's Mariah Carey's new video for "Angels Cry" which features Ne-Yo. Here's the official single cover for Ke$ha's second single "Blah Blah Blah" which features 3OH!3. The song is amazing, and has already hit #7 in the US with no promotion or anything! Go $! Here's the official cover for Goldfrapp's 5th studio album "Headfirst". The Spice Girls Musical - Confirmed. It's been confirmed that the Spice Girls musical will be going ahead. Great news for the fans - and the girls' themselves, who are sure to pocket millions from this ;) ! Simon Fuller has confirmed plans for a new musical based on the Spice Girls and their music. The stage production will be named after the group's 1998 hit 'Viva Forever' and created by 'Mamma Mia!' producer Judy Craymer. Fuller, who managed the Spice Girls during their early career, said that the five-piece are "very excited" about the project. "What Judy has achieved with her all-conquering box office smash hit 'Mamma Mia!' and what the Spice Girls created with their powerful record-breaking mix of girl power and hit songs, has influenced pop culture more than anyone can imagine," Fuller said. Craymer revealed that she wants to "create a unique celebration of the band and its music, with its own flavour and joyful message". "It is important to me that the excitement, style and humour of the Spice Girls is well represented on stage," she added. The Spice Girls rose to fame with debut single 'Wannabe' in 1996. They have since sold over 65 million records worldwide. The group last performed together in Toronto as part of their 'Return of The Spice Girls' world tour in February 2008. Check out the new music video from Jason DeRulo for his second single "In My Head". Here's a new PV that has leaked from BoA's upcoming album "Identity". The album is released next month, and will feature the singles "BUMP BUMP!" and "Mamoritai ~White Wishes~". Here's Keri Hilson's new video for single "Change Me", which features Akon. Good, check it out! Check out this live performance of "Echo" and interview by Girls Can't Catch, as they visited the Alan Titmarch show today. Here's the full music video for Sugababes' new single "Wear My Kiss". Great song! Here's the official music video for "If We Ever Meet Again" by Timbaland and Katy Perry! Check it out. 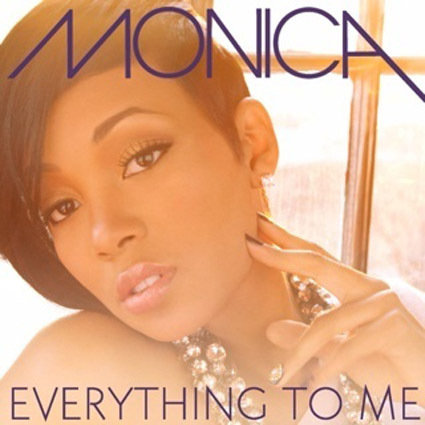 The official single for Monica's comeback single "Everything To Me". Best single cover of the year so far - visually stunning. Picture courtesy of thatgrapejuice.net ! Cheryl Cole's label has announced the details of her upcoming third solo single: Parachute. The track is co-written by Ingrid Michaelson and Michael Altman and produced by Reggie 'Syience' Perry and will.i.am. "Parachute" will be released in the UK on March 15. What do you think of the new single ? Eve begins work on new album. Esmée Denters chooses next single? Although Esmée Denters hasn't confirmed what her 3rd single will be from debut album "Outta Here", the Dutch singer has revealed that the single will be a collaboration with Justin Timberlake. This should guarentee Esmée another huge hit! It isn't confirmed whether the track will be a song on the album ("Love Dealer" or "Casanova" which already feature Justin on vocals) or a brand new single entirely! Here's the first picture to emerge from the set of the Black Eyed Peas new music video for "Imma Be". The song is already smashing the US charts, and with Fergie look SO hot in the image above - the song will only go up and up when the video is finally released. Thanks to rap-up.com for the image! Janet Jackson ruled the 80s and 90s, and whilst her 00s were met with controversy (Superbowl Halftime anyone?) Ms. Jackson still managed to score some hits, despite not reaching the dizzy heights of success she had in the first 15 years of her career. Her biggest hit of the past decade was no doubt "All For You" - a club banger, and classic Janet dance song. It was a #1 smash in the US (Janet's last #1 there) and reached high positions all over the world. Perhaps it will always remain Janet's last MASSIVE hit... anyone else love this song? Ke$ha has ended Susan Boyle's six-week reign at the top of the Billboard 200 album chart. The 22-year-old singer shifted 152,000 copies of her debut LP "Animal", while Boyle's "I Dreamed A Dreamed" sold 93,000. Lady GaGa pulled out of a concert in Indiana last night after collapsing due to "exhaustion". The Bad Romance star had been scheduled to perform at West Lafayette's Purdue University campus, but scrapped the gig just minutes before she was due to go on stage following advice from a doctor. Here's the official music video for "On A Mission", the new single from Gabriella Cilmi. Check it out! Here's the official single cover for Rihanna's brand new single "Rude Boy". "I think any new material will happen through the people who want to remix some of my old classics. You know the rapper Fabolous? He wants to do something with one of my tracks," she said. "Actually, I was having a conversation last night about going out to New York to work on the remix and video. I think the Janet Jackson hip-hop/dance thing would suit me." Simon Cowell confirms that he is leaving American Idol after this year's season. SimoThe music mogul has quit the show after nine seasons in order to launch a US version of The X Factor in 2011. Appearing at the Fox execs session at the TCA press tour today, Cowell confirmed that he would serve as judge and executive producer on the new series. Cowell told reporters that it would have been "impossible" for him to continue on Idol alongside The X Factor. He also serves as a judge on the original UK version of The X Factor as well as Britain's Got Talent. On his potential replacements on Idol, Cowell commented: "I've had the best eight or nine years of my life doing this job. The most important thing is [for Fox] to get someone who knows what they're talking about. I want to leave Idol this year bigger and better than ever before. I hope it'll be higher-rated than it was last year." Fan of Heidi Fleiss? Join this facebook group! We're all loving Heidi Fleiss on Celebrity Big Brother at the moment. Join this facebook group - today :) ! Here's a 2 minute clip of the Sugababes new single for "Wear My Kiss". Looks fantastic! Che'Nelle is back with a new single - "Feel Good" - and the video can be seen above! Check out this funny interview with Mary J. Blige on Chelsea Lately. Worth watching! Here's the confirmation that Jessie James is currently working on her 2nd album - I'm so excited, as her debut self-titled album was fantastic. Here's the debut music video from Daisy Dares You for her single "Number One Enemy" which features rapper Chipmunk. Check it out! Here's the official music video from old-school R&B singer KeKe Wyatt for her new single "Who Knew?". Check it out! Johnson & Johnson heiress Casey Johnson, the girlfriend of bisexual reality TV starlet Tila Tequila died at her home in Los Angeles, the police said on Monday. She was 30. The great-great granddaughter of Johnson & Johnson co-founder Robert Wood Johnson suffered from diabetes. The socialite was credited as a co-writer of her parents’ 1992 book “Managing Your Child’s Diabetes.” Her father, Robert “Woody” Johnson, owns the New York Jets football team. It's been confirmed that Selena Gomez has joined UK record label Fascination for the release of her album "Kiss & Tell". The singer has already seen big success in the US with her music, and will now release her material over here in the UK. Fascination confirmed the news on their twitter page, and Selena will have Girls Aloud, Jonas Brothers, The Saturdays and Sophie Ellis Bextor as her label mates! Ke$ha has revealed that she made no money from her collaboration with Flo Rida. Ke$ha, who worked with the rapper on the number one hit 'Right Round', explained that she added the dollar sign to her name after failing to earn any royalties. According to WENN, she said: "It was an accident I was even on the track. I didn't make any money off it, that's why I put the dollar sign in my name as a joke. "But I was happy singing in bars, wearing clothes I found in garbage and surrounded by people who love me." Ke$ha is currently top of the US singles chart with 'Tik Tok'.